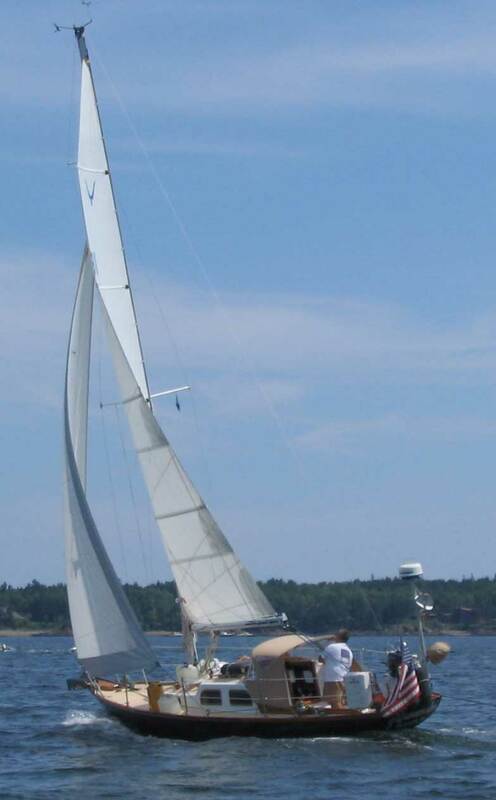 In 2001, after a 2-year restoration, we launched our 1963 Pearson Triton Glissando, a great boat that we owned through the end of the 2011 sailing season, when, with greatly mixed feelings, we sold her to make way for the new boat ahead. Click here to go to a detailed website about Glissando. 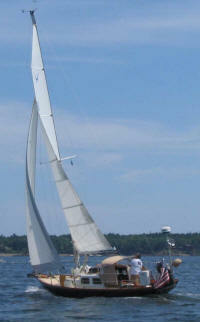 After several years of sailing and cruising, we started thinking ahead to the future. 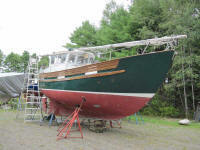 The Glissando project, while a success in all ways, had highlighted a number of areas where her small size and my relative inexperience had inevitably compromised certain aspects of the boat--at least as my ever-growing skill set and knowledge led me to believe. 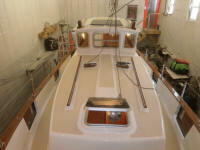 In addition, I had a strong desire to use the past lessons learned to rebuild another custom boat, as well as some thoughts about extending our cruising area and, eventually, scope to where we might crave a bit more interior and stowage space. In 2004, a friend pointed me towards a 35' Allied Seabreeze yawl that had suffered a gasoline fire and was heavily damaged. 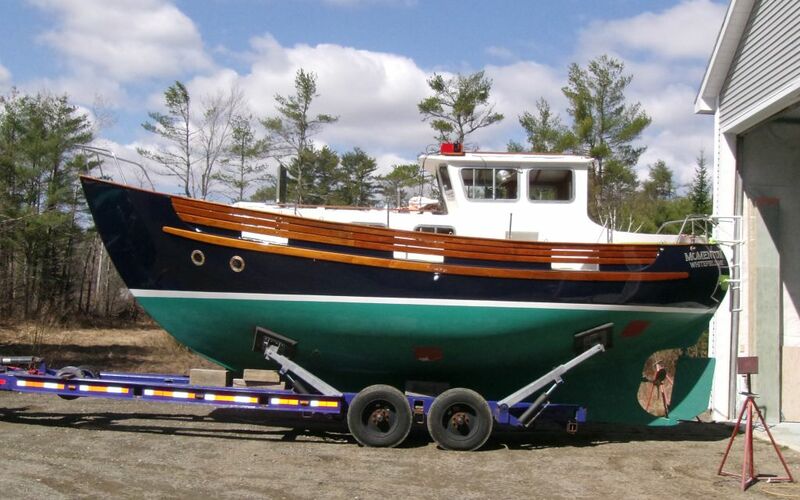 At the time, this seemed the perfect "next" boat: bigger in all ways, but not overly so, and with known and appealing sailing characteristics and overall appearance. 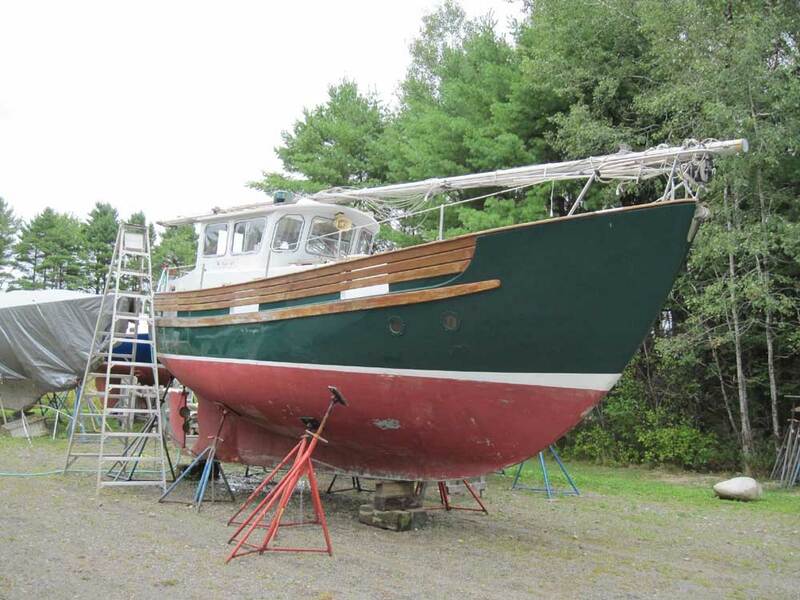 After inspecting the boat, I bought the burned hulk and brought her to Maine, planning to begin reconstruction work in the near future. 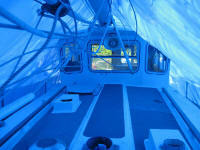 Click here to go to a website about the Allied Seabreeze project. Shortly thereafter, in early 2005, we made a decision to move to a new property, a project that consumed time and resources for several years. 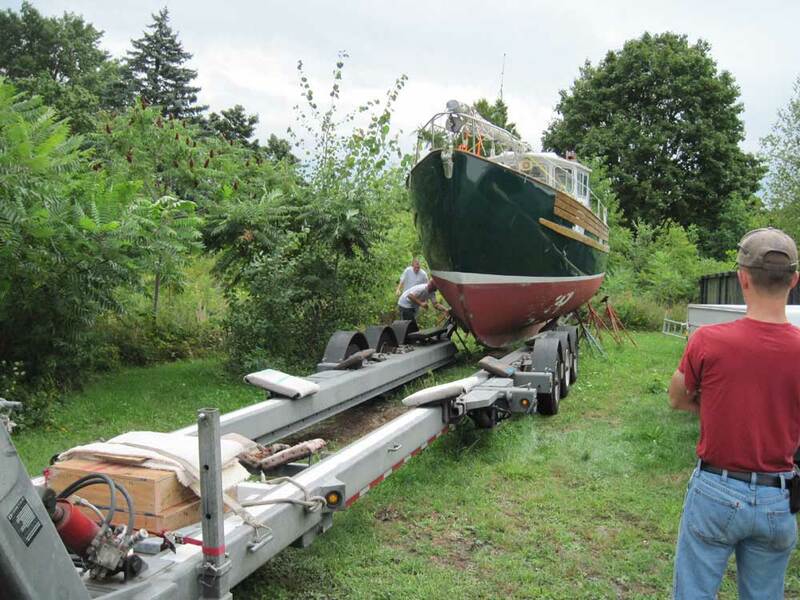 This put the Seabreeze project on hold for 5 years, during which time I was heavily involved with infrastructure, house, and shop construction at the new property and, afterwards, with running my boat restoration business. 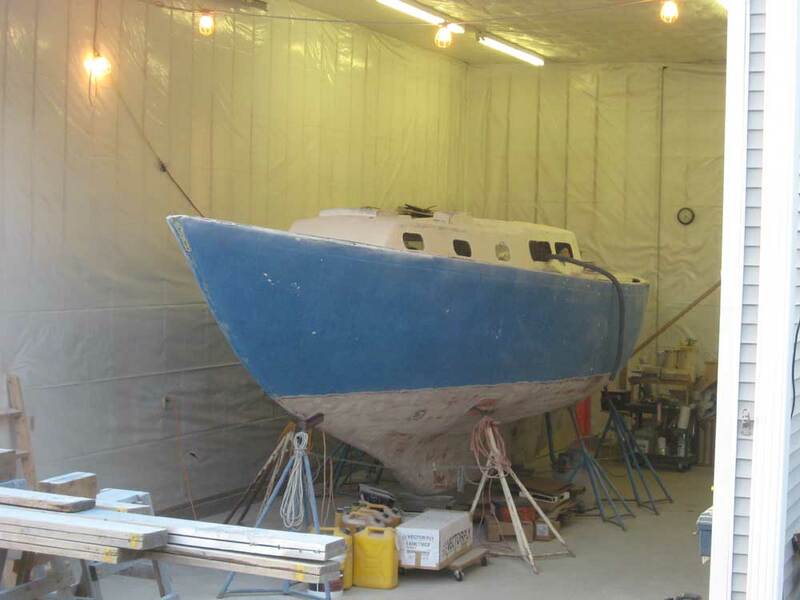 Finally, in late 2009 it seemed the time to begin the project had come, and with great anticipation I moved her into my shop and attacked the interior demolition and, I thought, the structural repairs to her fire-damaged stern quarters. A lot had changed since 2004, when we first bought the Seabreeze. I'd changed, and how we used our boat had changed, as had how we expected to use the boat in the future. These changes, and the passing of time, would play a large role in a decision in 2010 to abandon the Seabreeze project and seek a new direction. 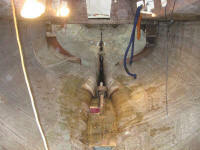 As gung-ho as I'd been when I began the project in October 2009, the more I got into the hull damage at the aft end of the boat, the worse it seemed to get. I knew the boat was badly burned and damaged; this was clear from the onset, and the overall scope of the project never worried me. 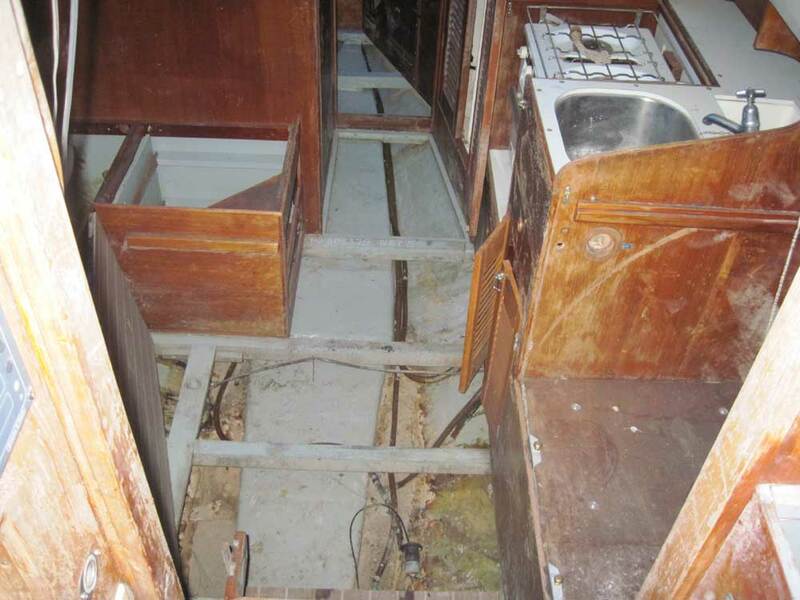 What I'd not properly anticipated was how badly the heat of the fire had affected the laminate in the stern quarters: it was far worse than expected. 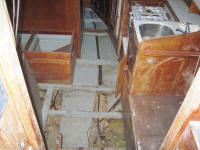 But the extent of damage alone wasn't the deciding factor in the decision. I still had confidence in the repair technique I'd have pursued, but after a few months' of weekends worth of foul, dirty demolition and grinding, I found myself burned out and, with plenty of other irons in the fire, I drifted away from the project. 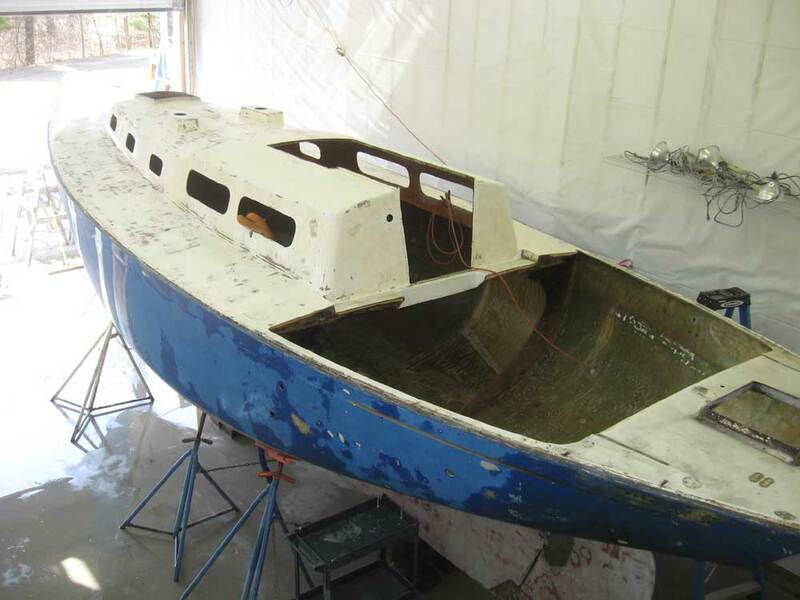 During this time, I looked within and decided that one reason I was dragging my feet was that I had questions about whether this was the right boat to be rebuilding at this time. 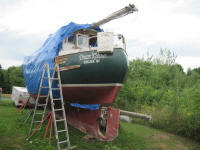 Maybe I didn't want to invest the next several years and thousands of dollars into this boat. So while it would have been understandable to abandon the project simply because of the extent of the damage, that really wasn't the problem: the problem was that I'd changed, and my thoughts about cruising had changed. 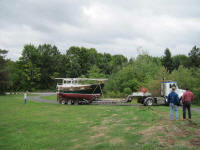 That said, there was no question that we were ready for a new challenge, and another boat. Plus, my thoughts about what we did while cruising had changed, and for years I'd harbored a secret love, one which I'd never admitted to another soul until July 2010: I liked motorsailers. Oh, not all motorsailers, mind you. Form and function were important, but when done "correctly" (whatever that means; it probably means something different to each of us), I was a big fan. 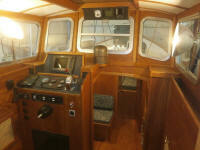 What's my definition of a motorsailer, by the way? 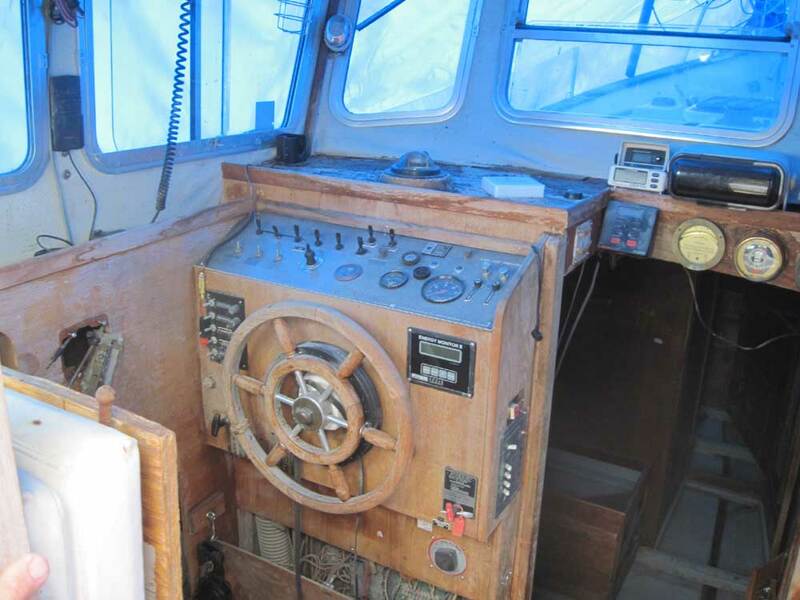 It's a displacement boat that's designed to spend most of its time with the engine running, usually assisted by sail, and occasionally powered by sail alone. Others have different self-definitions. This is mine. I spent a lot of time researching the concept, and for a time considered building something custom from scratch. I collected ideas, photos, and concepts, but although this was a fun exercise, ultimately reality set in: I thought it would take longer than I wanted to build something from scratch, and would also cost too much for what I was considering building--not to imply that I couldn't build something within current budget constraints--just not what I was envisioning. I shelved the new construction ideas for the moment. Since the 70s, when I was young and devoured every sailing magazine in sight (and they were good back then), I'd loved Fishers. I'd always loved the high, bluff bows that looked ready to smash aside any sea and the North Sea-type forward-raked wheelhouse. 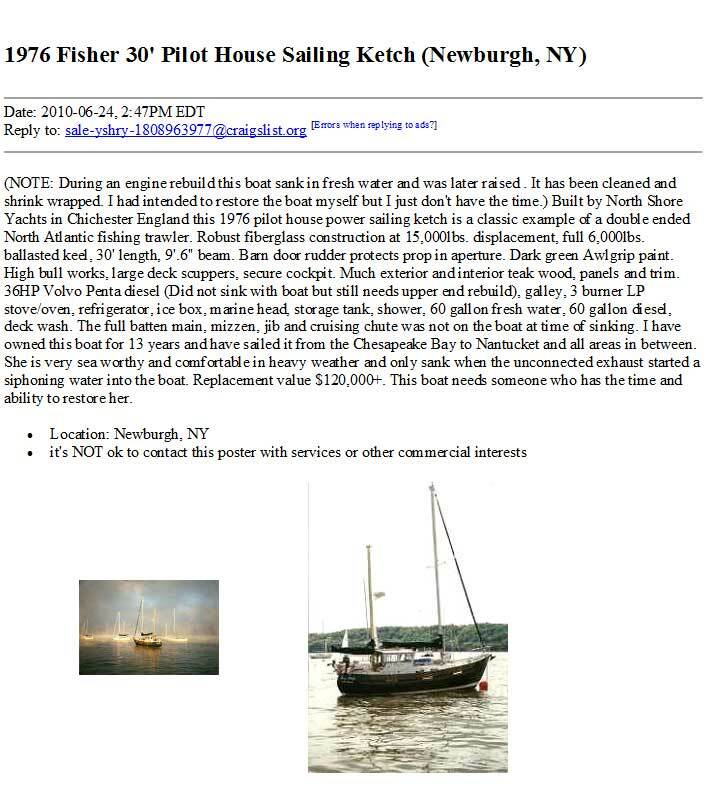 But after some momentary excitement, once again reality hit home: Fishers, and particularly the 37s (my ideal) were out of the price possibility for us. Even the lowest-price Fisher 37 I could find, which had had some work done but still (to my eye) required significant improvement and refurbishment, was much too expensive. Never mind just too darn big, honestly. 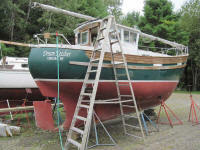 Eventually, I started looking more closely at the Fisher 30, which I'd initially looked at only in passing, but had more or less rejected because I felt it was too small. But the boat's looks really grew on me, and when I showed it to Heidi, she was smitten in short order with the boat's jaunty appearance. But even these small boats tended to be priced higher than I wanted, and most that were currently available were far away--many overseas. Fate intervened. 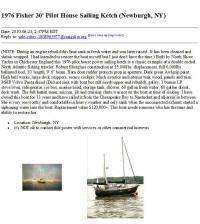 During a web search in July I found an ad on Craig's List for a 1976 Fisher 30 located relatively close by (New York), and with an attractive asking price. Of course, for the price, there had to be a story, and, clicking on the ad heading, I learned that indeed there was: the boat had sunk. Of course, this didn't deter me in the least, as I have a propensity to like the challenge represented by ridiculous projects. 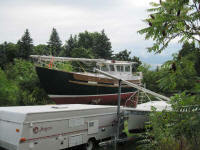 The ad was dated a few weeks before, and I was worried that the boat might be gone. I emailed the seller, but my email was returned. Undeterred, I emailed again, with the same result. Oh the frustration! There was no other means of contact. In desperation, I sent yet another email--this one from a different, web-based email account. With bated breath, I waited by the computer (not really), but this time received no bounced email error message. Hoping that at least this email had gotten through to the seller, I patiently went about my business for several days without a care in the world. No, that's not quite right: actually I was beside myself with anticipation and impatience, but after several days with no response, I feared the worst. 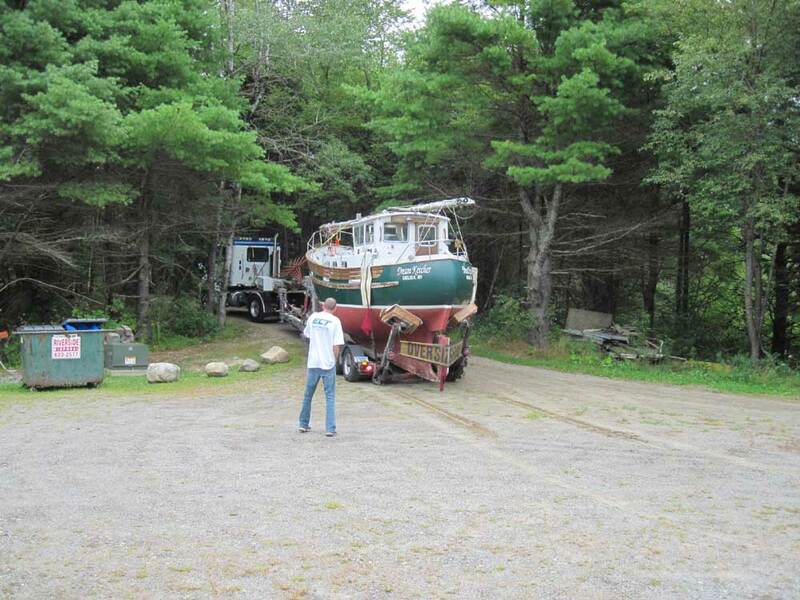 I was away for a few days, and when I returned I was thrilled to find an email from the seller: the boat was still available. Armed now with a phone number, I immediately called to talk about the boat and set up an appointment to see her in person. 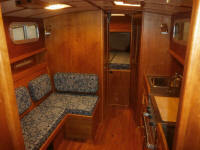 The on-site visit was important not only to determine the condition of this boat, but also because I'd never seen a Fisher 30 (or any Fisher) in person, and we needed to be sure we liked the feel of the boat and, in particular, the size and feel of the smallish cockpit. 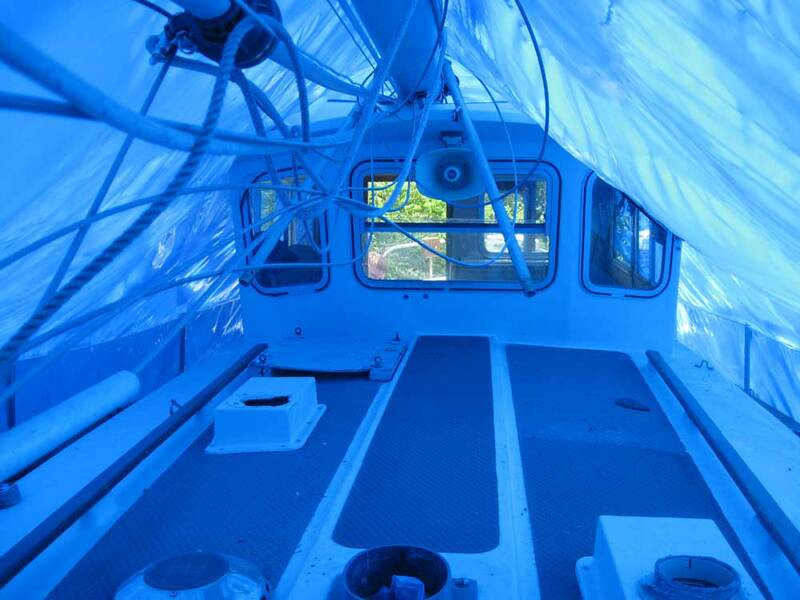 A week or so later, we made the 14 hour round trip to see the boat, spending a couple hours on board beneath blue shrinkwrap in sweltering heat. 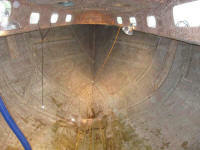 There are more details about the first visit in the Project section of this site. 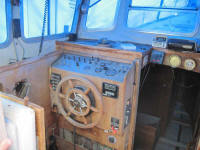 After various discussions, I made an offer on the boat, which the seller accepted. 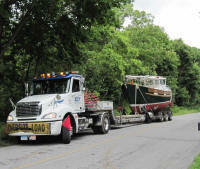 I made arrangements to truck her back to Maine, which is where this story really begins. 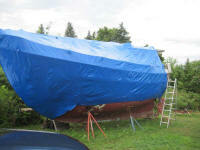 Follow along with the project with the daily work logs in the Project section. 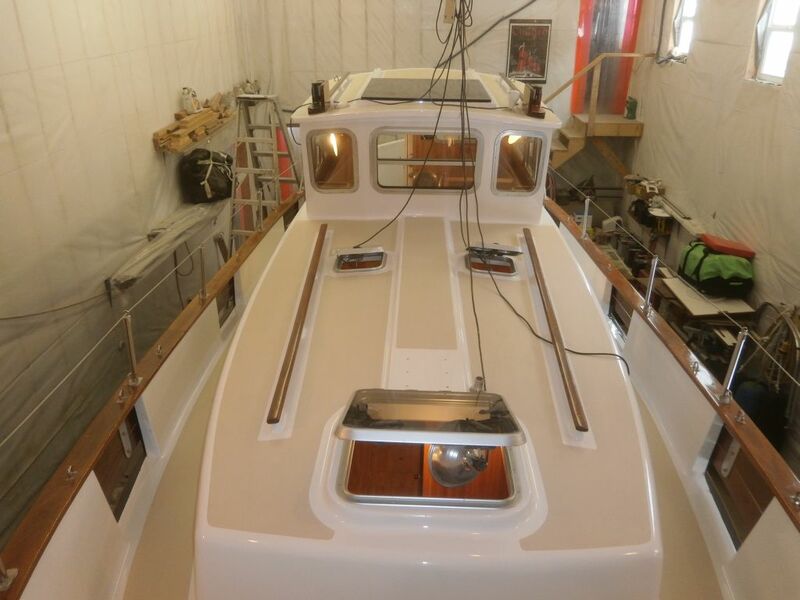 After four and a half years of mostly steady work--punctuated by a couple longer breaks during the summers of 2013 and 2014--by March 2015 the boat was essentially all-new and virtually complete. However, for a variety of reasons, our plans had changed: mainly an epiphany on my part that, with a full-time restoration business, I actually craved--and needed--leisure time that wasn't related to a boat, somewhere I could relax and do something entirely different. We found this outlet in a small cottage in Prince Edward Island, Canada, which we bought and refurbished starting in late 2012. (The lead-in to this is a long story that I'll not go into here). Finding myself pulled in conflicting directions by essentially incompatible leisure activities and limited time off to enjoy them, after much reflection and internal struggles that took place over a two-year period I realized that my heart was in PEI, and that at least for the moment, my love of boats was being covered by my daily work and that cruising as we'd planned in this beautiful and comfortable boat simply wasn't going to be part of the foreseeable future. Not wanting to have her languish, or not enjoyed to her full and excellent potential, we made the tough decision to put her up for sale. 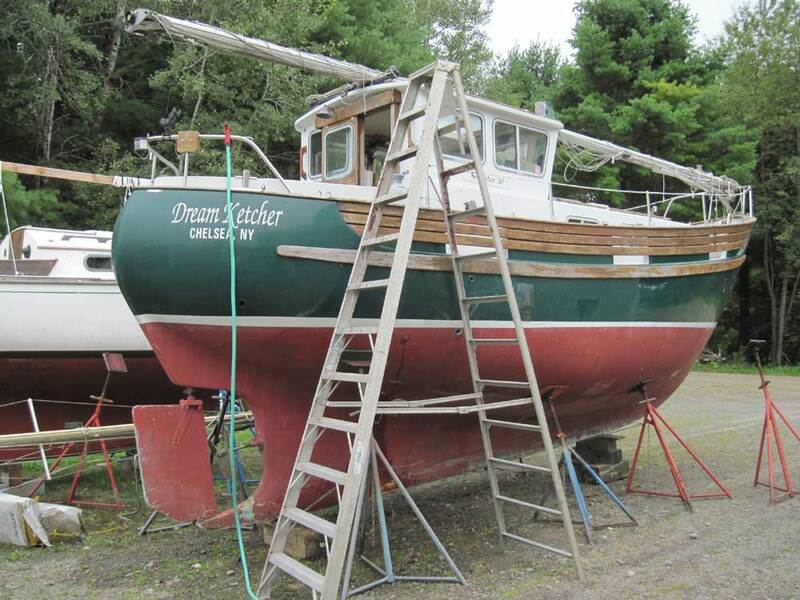 She sold to a local buyer on April 13, 2015. Read more about this here. 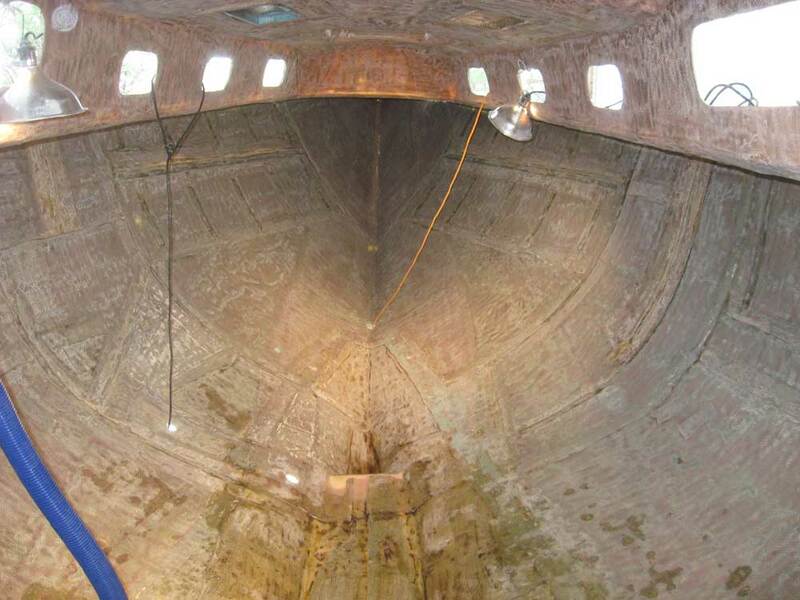 I agreed to complete various jobs on board for the new owner, and for continuity's sake I continued to post the progress logs on this site through the projected launch date.